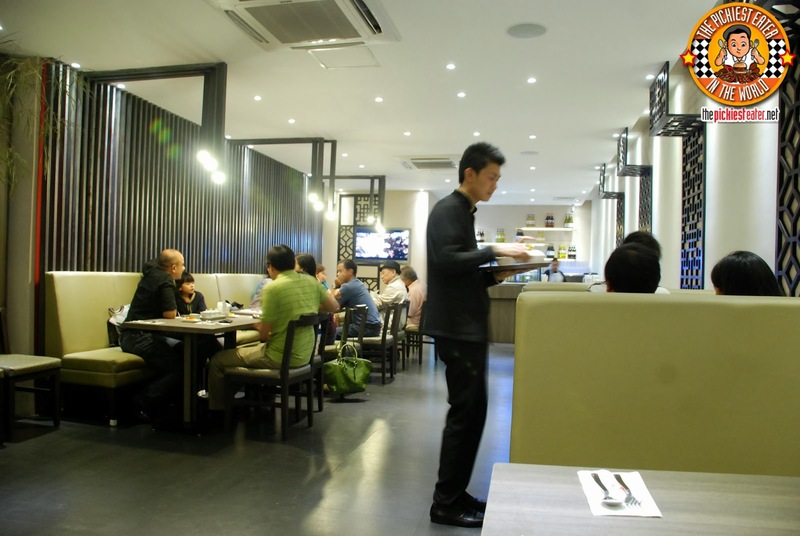 Boon Tong Kee already has three branches. One in Mall of Asia, Powerplant Mall, and the one we went to was in Tomas Morato, QC. 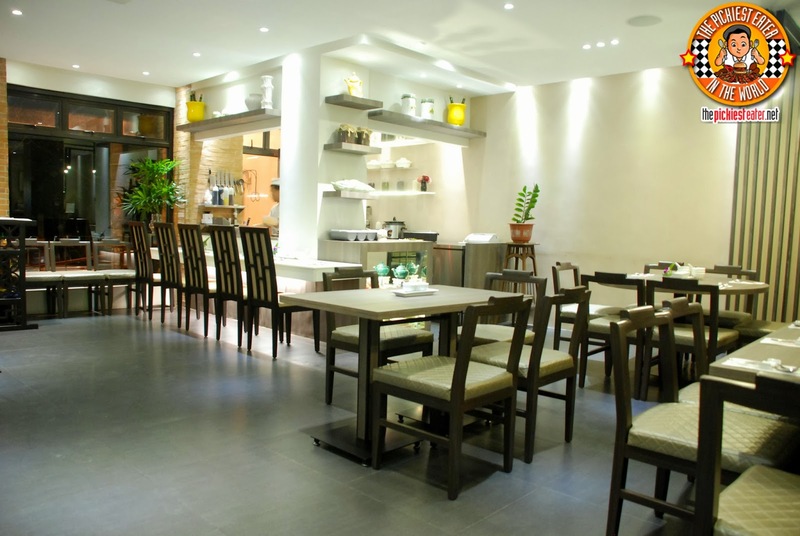 The place was really nice. Not overly fancy, but also not too casual. It's designed just right. The type of place you would want to take your family for a nice weekend meal. Boon Tong Kee serves nicely plated Singaporean dishes that will tickle your eyes and palette! 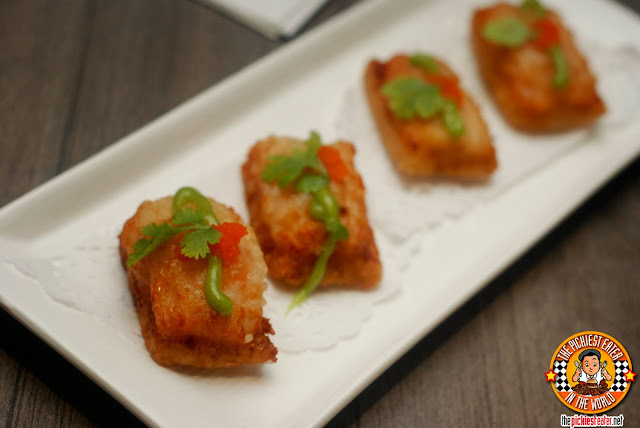 Starting with Crispy Bean Curd appetizer (P165). 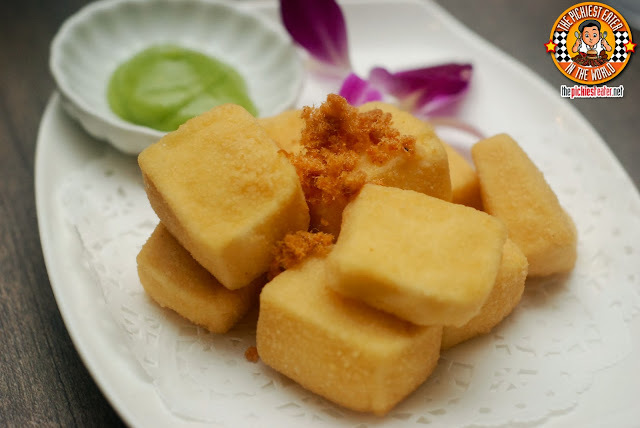 The deep fried bean curd is really soft even to just look at. Then dip it with the green tea mayo it comes with and a surprise burst of flavors will fill your mouth. The Prawn Toast (P275) was also a delightful appetizer. Deep fried toast with a shrimp on top. Something Richie would devour in seconds.I imagine this would go really well with a sweet chili sauce. 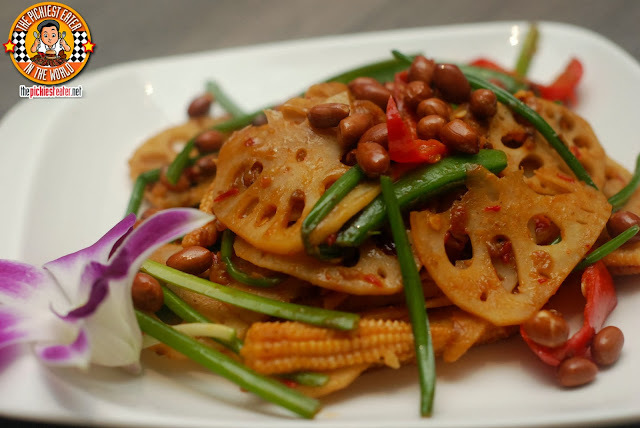 The Stir-Fried Lotus Plant with Vegetables which is visually sort of unusual but is really really good! It's the lots plant that looks new to me mixed in a salad but it gives a nice crunch along with the peanuts. It's quite addicting! 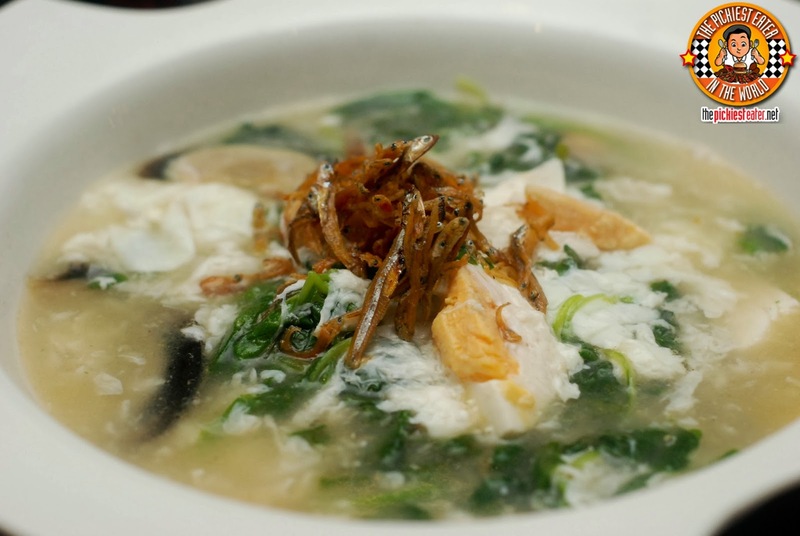 The Poached Chinese Spanish with Assorted Eggs (P295) is a bowl of century egg and egg medley swimming in creamy soup with spinach. I honestly quite enjoyed this soup! Would love to take Rain back and have her taste this. I'm sure she will love it! I unfortunately didn't get to try this Fried Sambal Kangkong with Squid (P295). 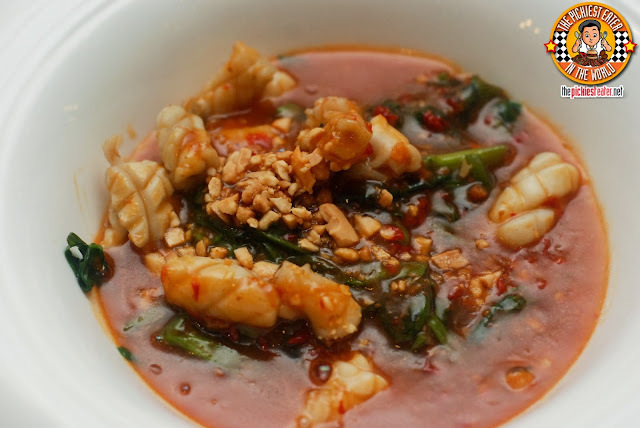 But if you love spicy soup and if you like squid, this one's for you! It was my first time to ever try a fried rice like this Sambal Fried Rice (P225). If you like having lots of textures in your mouth like I do, then this is definitely a must-try. 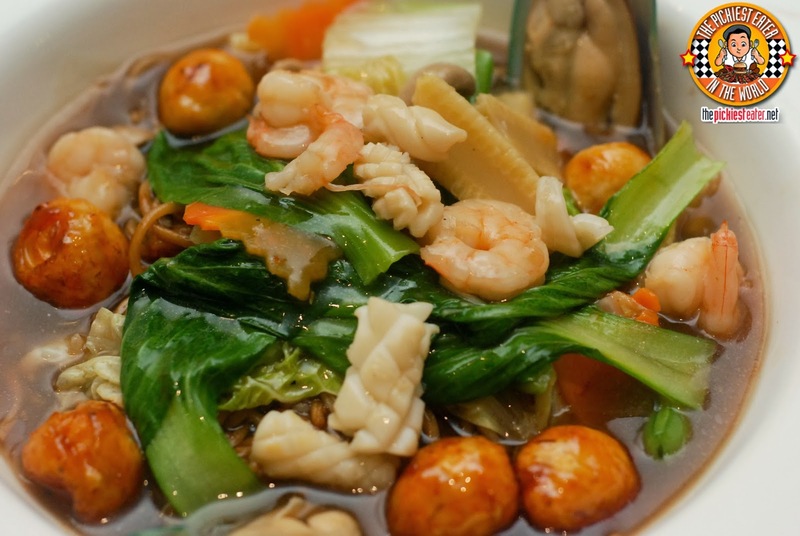 It's topped with some nuts, prawn crackers, and veggies, and then just the right amount of heat. 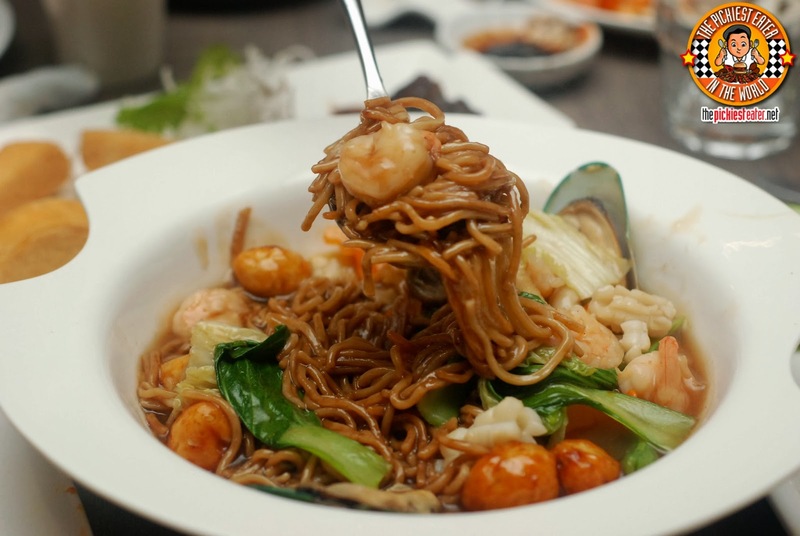 Have some of Boon Tong Kee's Birthday Noodles (P295) on your special day! It looks like soup in this photo but there are noodles there. 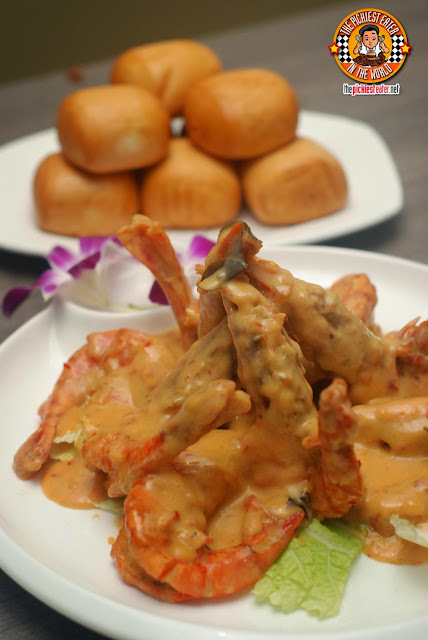 The noodles are submerged into a lot of creamy sauce that packs a lot of flavor mixed with shrimps and vegetables. Mix them all evenly and it will look more of a pancit. 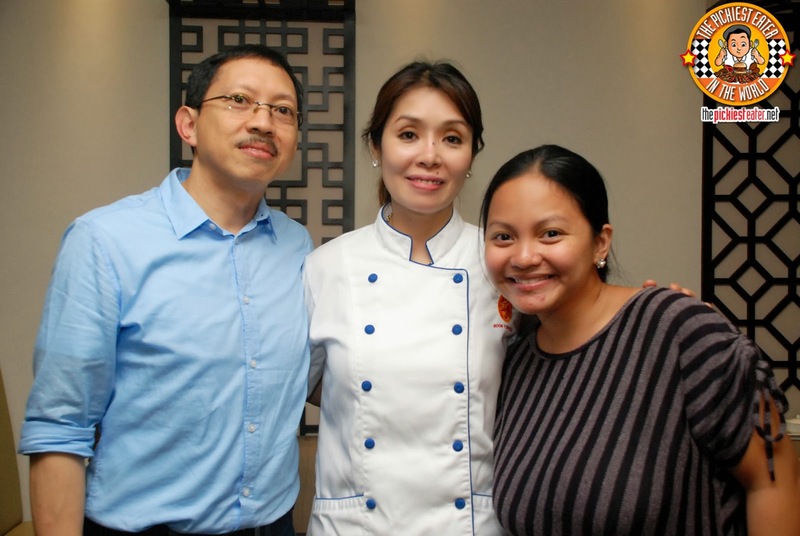 The Coffee Pork Ribs (P295) is one of the group's favorite that night. The coffee adds a certain taste and aroma to the pork and surprisingly it blended well. 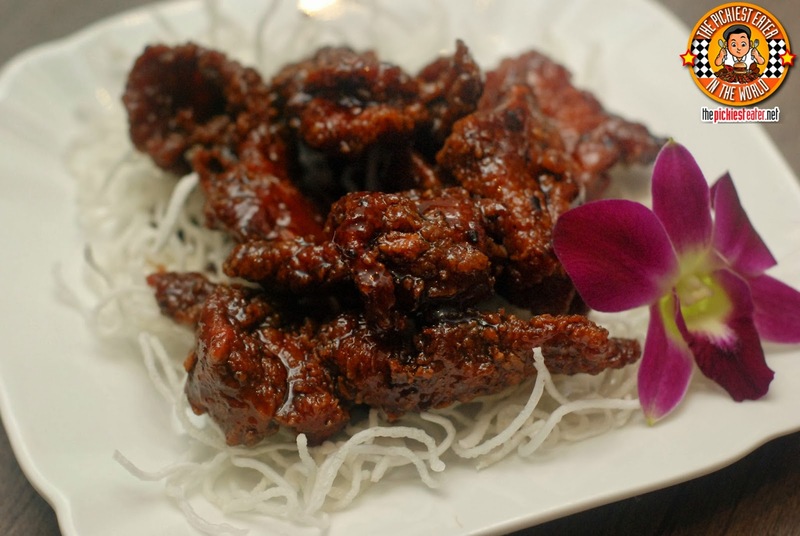 Richie loved the Fried Spare Ribs with Zhen Jiang Sauce (P395). He's a fan of sweet viands and sinful breads. 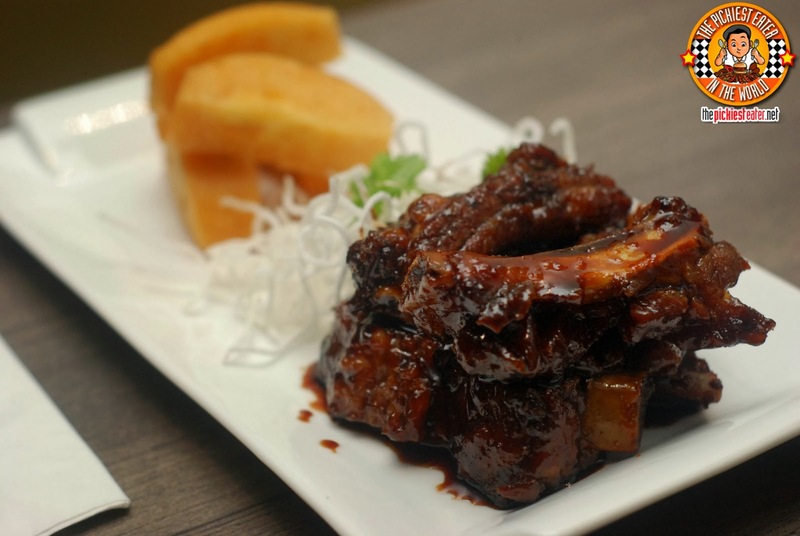 And if you notice, this fried spare ribs is actually served with some deep fried mantao bread. It's like it was made specifically for Richie hehehe. So naturally, Richie also enjoyed the Braised Pork Belly (P325) served with buns. 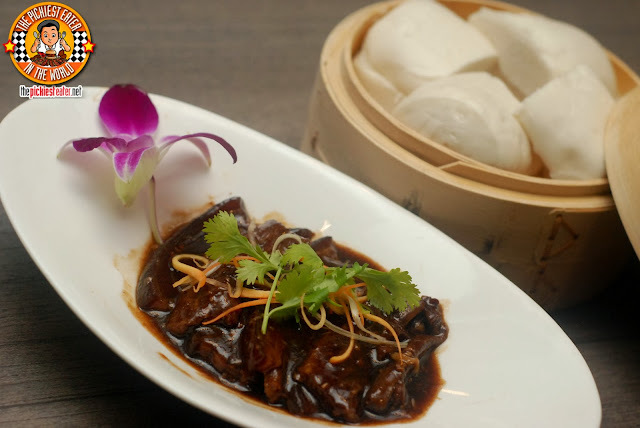 Pork bathing in thick sweet sauce is just his thing. The pork was really soft and tender. Perfect to stuff inside a bun. I, on the other hand, love shrimps! 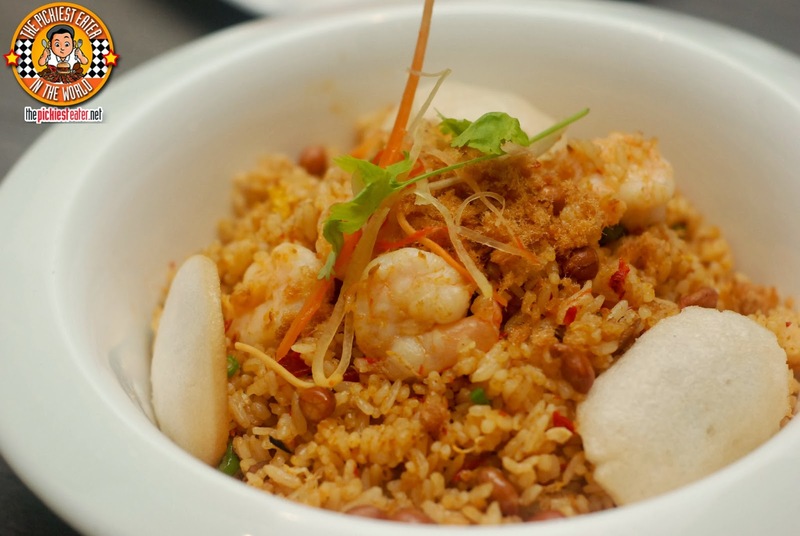 And so when we heard that Boon Tong Kee served a special called Crispy Cereal Prawns, I was ecstatic! 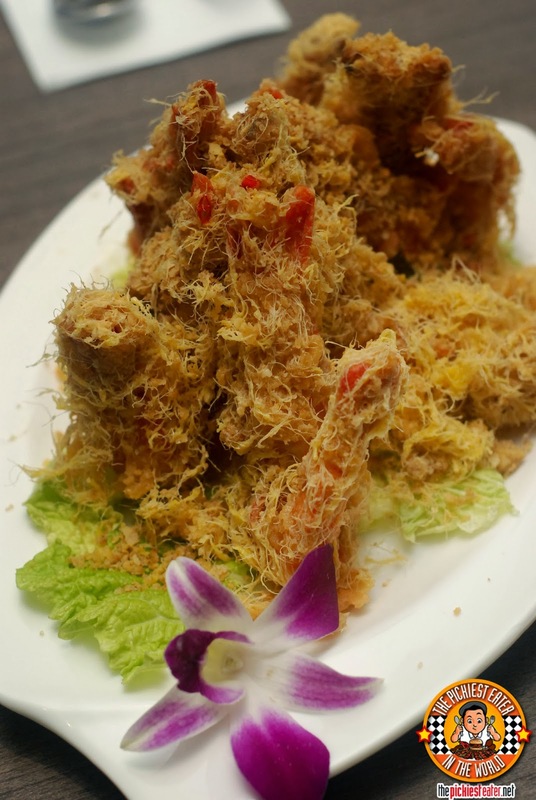 Huge prawns breaded with cereal floss breading. It's a crunchy perfect bite every time! (Regular P375 / Large P655). And then they took out another shrimp dish that had my tummy rumbling yet again. 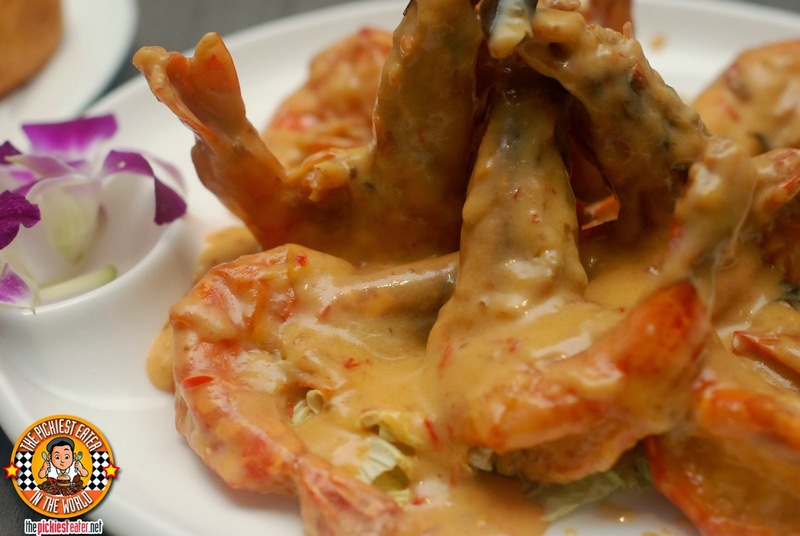 The Cream Cheese Prawns for me sounded too good to be true. Shrimps smothered in cheese! I'm a cheese lover too obviously. It's also served with fried mantao bread but of course I prefer rice hehehe. No judging please! 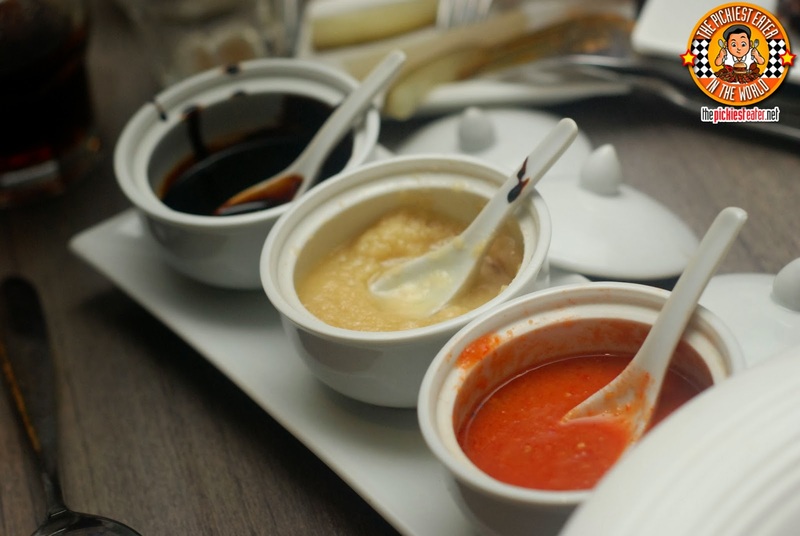 Comes with the usual sauces. Pair it with this pyramid Chicken Rice (P65) and it's a party in your mouth! 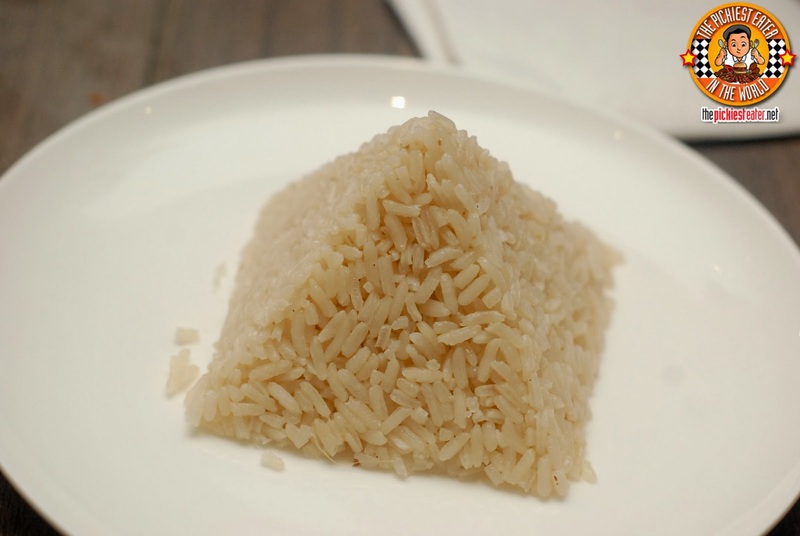 I'm a rice lover and so this chicken and chicken rice alone is already enough for me. 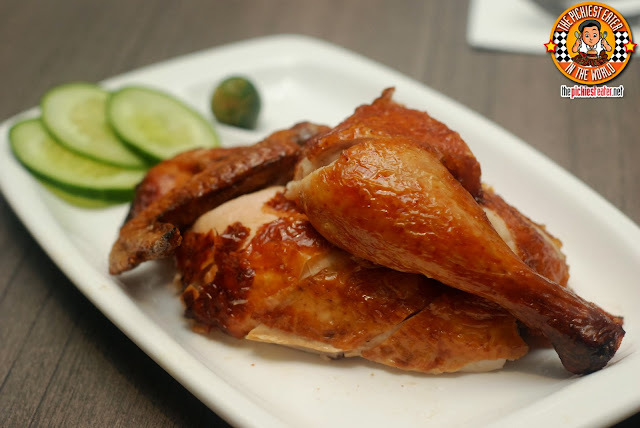 Another one of their specials is the Crispy Roast Chicken (Quarter P235 / Half P425 / Whole P755). 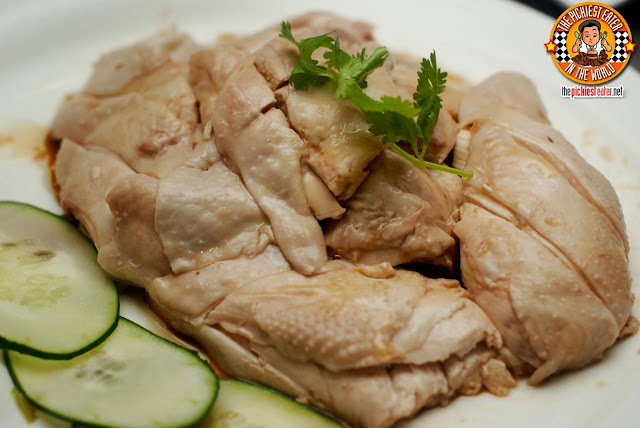 While this one is fried, it is equally soft and tender as the Boiled Chicken. Plus the sweet soy glazed skin adds flavor that makes my eyes roll. 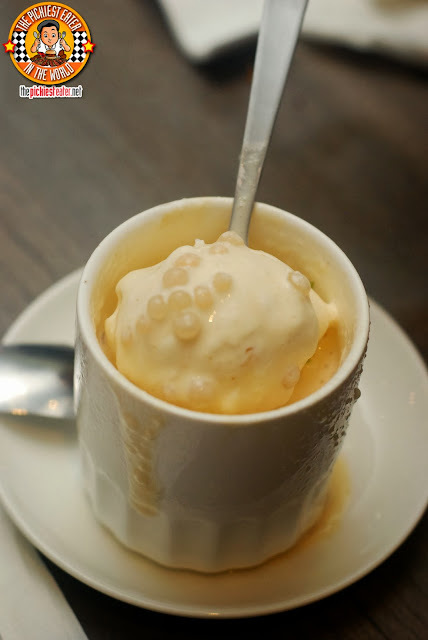 For dessert, we had the Sago Gula-Melaka with Vanilla Ice Cream (P145) which I loved. (I love sago and i love ice cream hehe). It's not too sweet which makes it even better. 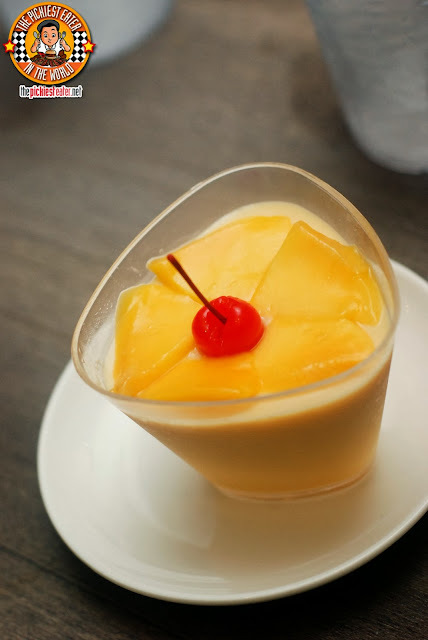 And we also had the Mango Taho which was also light on the tummy. A great palette cleanser! Now you understand why we kept asking for a change of plate that evening. We just had to have a taste of everything! Lots of flavors, classic and new. A meal at Boon Tong Kee is really a unique Singaporean cuisine experience! Thank you owners Joy and Michelle Rodriguez for bringing Boon Tong Kee to the Philippines! We plan to go back as well! Enjoy!